THE B-MOVIE NEWS VAULT: STOCK YOUR VAULT: New DVDs & Blu-rays for 03/27/2018! STOCK YOUR VAULT: New DVDs & Blu-rays for 03/27/2018! Well gang, March is just about over and the movie gods have graced us with a pretty good mix of new DVDs & Blu-rays this week! Kino Classics graces us with Season One of The Outer Limits (the original series) on Blu-ray, along with THE SOLDIER, VCI delivers a remastered edition of CITY OF THE DEAD, and Criterion Collection gives SCANNERS a Blu-ray only release. The highly divisive STAR WARS: THE LAST JEDI is now available in all formats, as is the first season of Marvel's Legion, and Vinegar Syndrome has released a slew of new stuff including BABYFACE II, a new Peekarama double feature, and Volumes I & II of their 5 Films - 5 Years boxed sets! 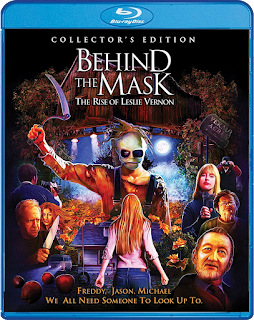 Scream Factory holds sway over all this week with their new limited edition steelbooks for ASSAULT ON PRECINCT 13 and PRINCE OF DARKNESS, I REMEMBER YOU (an IFC Midnight title), and a pretty stacked Collector's Edition of BEHIND THE MASK: THE RISE OF LESLIE VERNON! 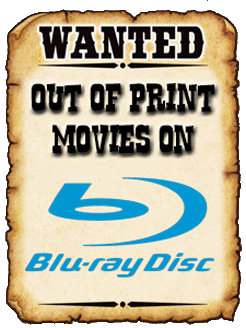 There's some other cool stuff out this week, so be sure to scroll down and scope out the full list of this week's new DVDs & Blu-ray discs! Contains: Too Naughty To Say No, Hot and Saucy Pizza Girls, Ribald Tales of Canterbury, Prisoner of Paradise, and Dixie Ray Hollywood Star. Contains: The Muthers, Flesh & Bullets, Hang Up, Dungeon of Harrow, and Murder on the Emerald Seas.